The author reviews the development trends of the present-day China: urban processes; formation of special economic zones; employment of population; quality of urban environment. He draws historical parallels between the events of the Soviet period in the USSR and the reforms in China in the 1980s. The author points out specific features of organization of work in a design institution and peculiarities of design culture and describes the everyday life, interpersonal relations and the mentality. MEEROVICH, Mark. Inside China: fragments of the diary. 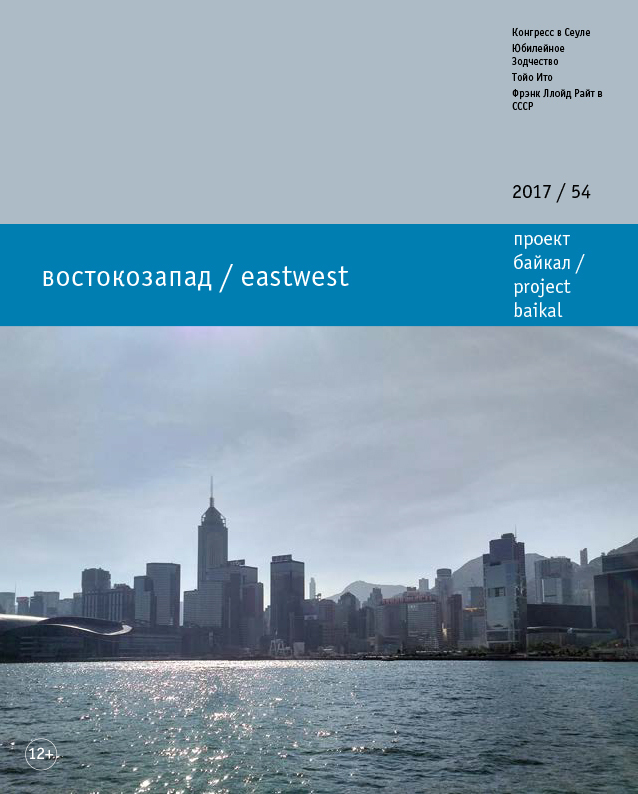 project baikal, Russian Federation, n. 54, p. 94-104, dec. 2017. ISSN 2309-3072. Available at: <http://www.projectbaikal.com/index.php/pb/article/view/1257>. Date accessed: 18 apr. 2019. doi: https://doi.org/10.7480/projectbaikal.54.1257.